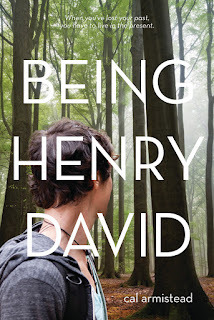 Being Henry David is Cal Armistead's debut novel, and to celebrate its release, Cal is on a blog tour and so graciously answered a few questions about her book and writing! CA: Lost teen guided home by friends, music, nature, and Thoreau. TCR: This may sound silly, but why anchor the book with Henry David Thoreau? CA: Not silly at all--I’m glad you asked! First, I’ve lived in and around Concord, Massachusetts for a lot of my life, and it’s almost like you absorb Thoreau through osmosis when you live around here. The town is incredibly proud of its literary roots, especially Henry. Plus, I absolutely love Walden Pond, and I’ve spent many happy hours just walking the trails around the pond, visiting Thoreau’s house site, and thinking deep(ish) thoughts. As for adding Thoreau to my book, I loved the idea of putting in a literary reference, and the more I thought about it, the more I decided the words of Thoreau could serve as a compass for someone who’s lost. Thoreau writes about simplicity and paring down to the essentials, and that’s pretty much where my character finds himself—pared down to a life with very little in the way of food, clothing and shelter. Instead of paring down though, he has to add the essentials, to create a brand new existence. Thoreau writes about the things that really matter, like nature, truth, and integrity, and my main character finds strength, comfort and guidance in that. CA: I burst into tears, literally. Luckily, they were good tears! I thought the designer did an excellent job depicting the soul of the story, and it was so exciting to see the boy who had only lived inside my head on a cover that also had my name on it. We don’t see his face, but that’s perfect too, because he doesn’t know who he is, and is looking out into the woods for answers to his questions. I think seeing the cover helped make the whole experience feel more real to me. 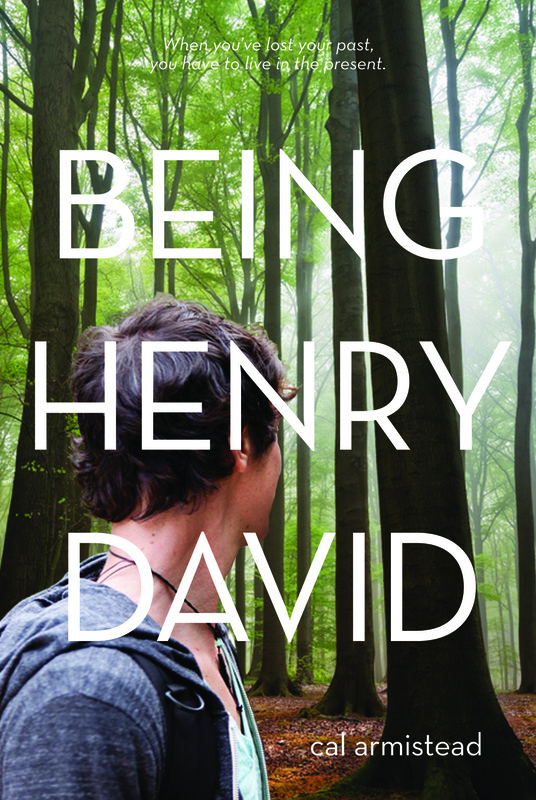 TCR: What was the hardest part about writing Being Henry David? The easiest? CA: Whew. Writing a book is hard work, don’t let anybody tell you different. You go through so many drafts and re-writes, and throw away entire sections that you used to be in love with. But there’s just no easy way to get through the process. I imagine it’s like sculpting—you start with a hunk of marble, then chop away at it until starts taking shape, then you polish that up until it’s right. There’s no way to rush the process. The easiest part was just believing in Hank and his story, and living in his world with him. 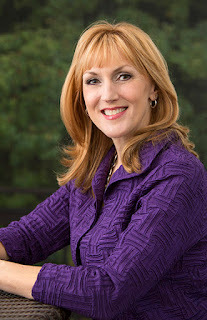 CA: Visit my website: calarmistead.com! TCR: Thanks so much, Cal! To learn more about the book, read on! "Seventeen-year-old "Hank" has found himself at Penn Station in New York City with no memory of anything --who he is, where he came from, why he's running away. His only possession is a worn copy of Walden, by Henry David Thoreau. And so he becomes Henry David-or "Hank" and takes first to the streets, and then to the only destination he can think of--Walden Pond in Concord, Massachusetts. Cal Armistead's remarkable debut novel is about a teen in search of himself. Hank begins to piece together recollections from his past. The only way Hank can discover his present is to face up to the realities of his grievous memories. He must come to terms with the tragedy of his past, to stop running, and to find his way home." Sound good? Enter to win a copy below! Check out Teen Librarian’s Toolbox tomorrow for the next stop on the blog tour!